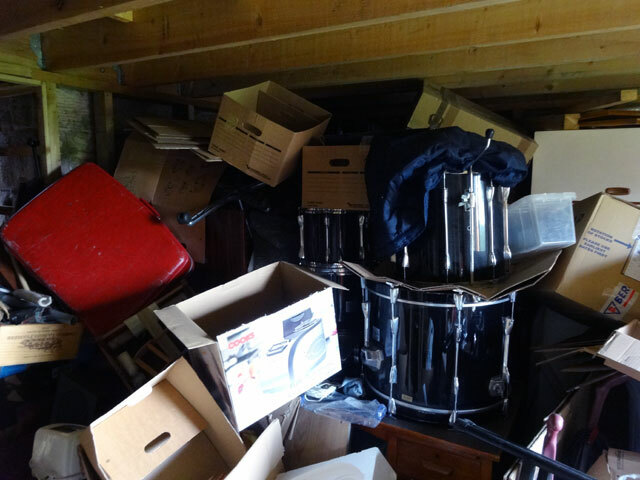 When you search for something in your home, you’ll probably be shocked by just how much junk you have stored away. As you hunt from room to room, it becomes clear that every space is packed with clutter galore. You struggle to recall just how you acquired it or even the last time it was useful. After you’ve finally get your hands on what you’re looking for, you decide it’s definitely time to do a detailed purge. You set a day or two aside to get the job done. After gathering together boxes and bags, you begin to go room by room, decluttering all storage space and even ridding yourself of some decor. With bags and boxes filled to the brim, you have really accomplished your goal. Then, you drop some stuff off at a local charity, donating a whole lot. You’ve also set aside stuff to sell and still more that will be thrown into the trash. Recycle as much as possible. If you get in the habit of recycling, it keeps things from piling up. Sign-up for paperless statements, recycle paper and plastics routinely, and, this will greatly reduce clutter. Donate items you no longer use. There are some things people keep for sentimental reasons but a whole lot more just because it’s out of sight. Out of sight is out of mind, we’re told, and, that’s largely true. When you go through each and every room, make it a goal to give items away. Rearrange and pare down on furniture. One thing that makes a home look and feel cramped is too much furniture. Rearrange your furniture to maximize space and sell or donate what you rarely use. When you do, you’ll have more space to maneuver and less room to put stuff. Rearrange storage space. One reason storage spaces are jammed packed is a lack of organization. When you go through cabinets, closets, and pantries, take the time to not only purge, but also, organize. The more organized these areas are, the easier it is to retrieve what you need. Another way to stay junk free is to buy only what you truly need. When you go to the store, purchase only what you need. All shopping should be done with a list and refrain from impulse purchases. If you have a lot of junk to get rid of, call a junk hauling and removal service so you don’t have to pay dumping fees. If you have a lot of junk to get rid of, just phone (800) 433-1094 or visit .